The only hotel in Valencia with computer services in all the rooms with free connection to internet and free bikes for clients /subjet to availability/ and family rooms. Bohemian, contemporary, classic, elegant, eternal, when you enter Petit Palace Bristol you are transported on a trip through time, immersed in a world of sensations.. 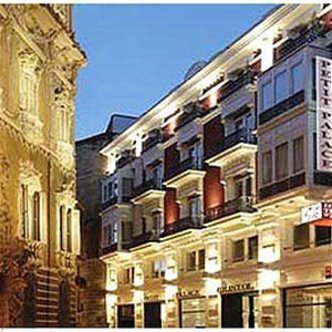 Welcome to the choicest hotel in the centre of Valencia/ideal to enjoy vacations with family or friends/rooms suitable for 3 o 4 persons/or to lodge on business trips. All our rooms are equipped with the latest technology/laptops with dvd, webcams, and wifi internet access,safebox/all these services are free.